Machine for the automatic assembly of straps. When designing the Cera UltraStrap, our goal was to supplement ultrasonic welding with an efficient technology, and to concentrate the highest performance and precision into the smallest machine. Producing up to 500 pieces per hour, while saving time at the end of the process by recovering straps automatically (option), the Cera UltraStrap allows to manufacture in quantity high quality products, without fraying, yellowing nor adding further fabric. 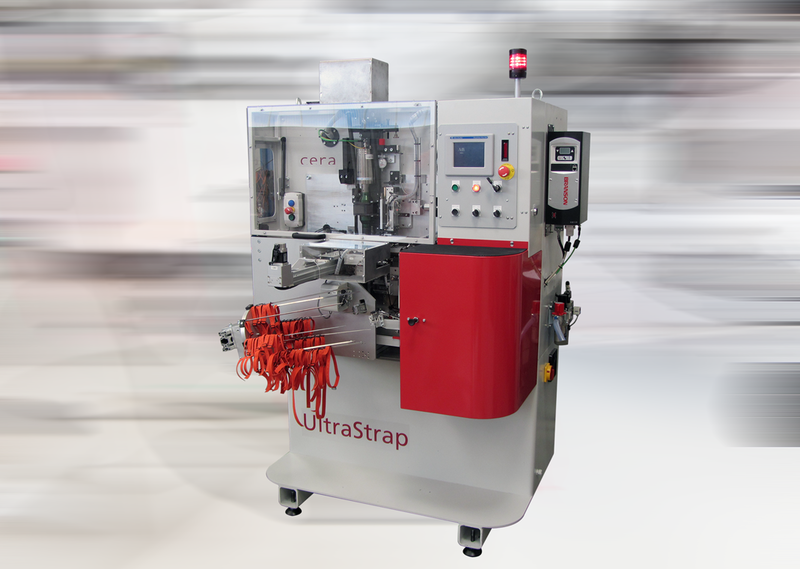 Thanks to its new design and high technology, the new Cera UltraStrap illustrates Cera Engineering exclusive know-how in installing sonics into production machines. With the Cera UltraStrap, choose productivity, reactivity and ergonomics.